UCL-3 is a new line of lockout devices recently introduced by Cirlock to their popular range of universal lockout devices for miniature circuit breakers. UCL-3 from lockout manufacturer Cirlock features a stainless steel set screw with a cup shape tip instead of the original pointed tip on the UCL-1 model. The new design feature in Cirlock’s UCL-3 is excellent to use when locking out circuit breakers with a delicate toggle. UCL-3 is available in an orange colour for easy identification. Constructed from tough nylon material, UCL-3 is now available ex-stock. 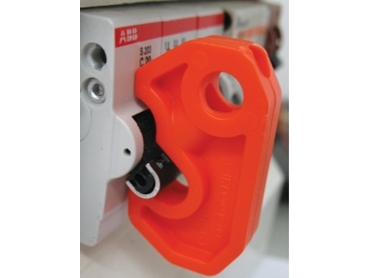 Made in Australia by Cirlock, Australia’s original lockout manufacturer, UCL-3 lockout devices are available through local electrical and other wholesalers.